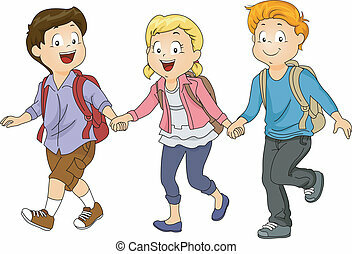 Cartoon of four children, boys and girls, walking together while holding hands. 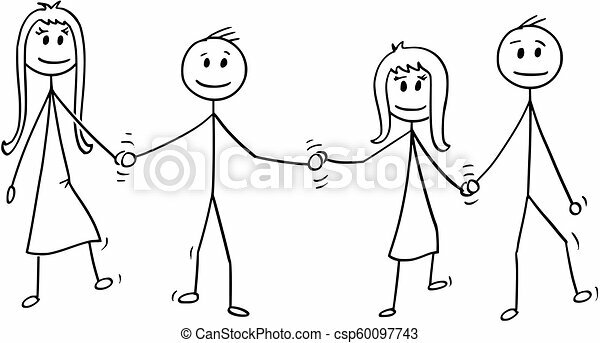 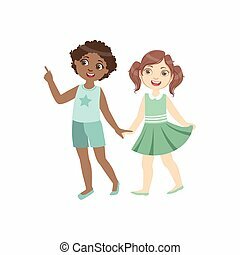 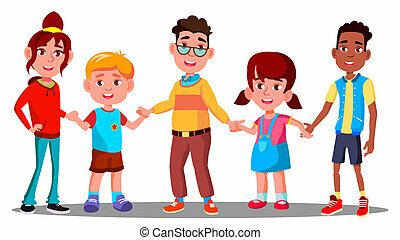 Cartoon stick drawing illustration of four children, two boys and girls, walking together while holding hands. 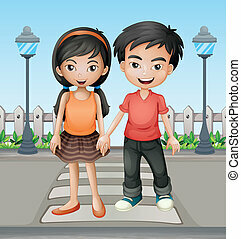 Cartoon stick drawing illustration of four children, two boys and girls, walking together while holding hands. 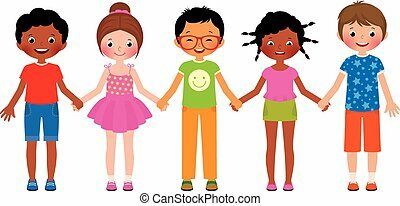 Children are holding each other's hands. 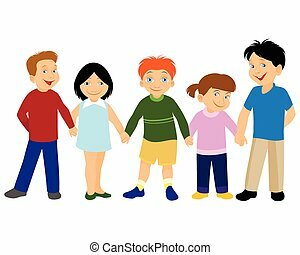 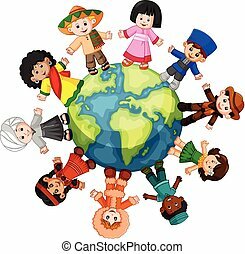 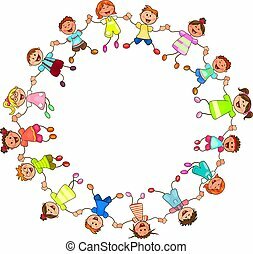 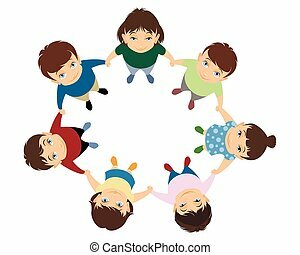 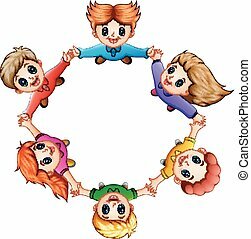 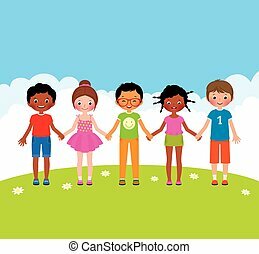 Group of cheerful, smiling children holding hands in a circle. 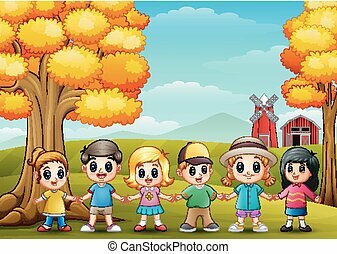 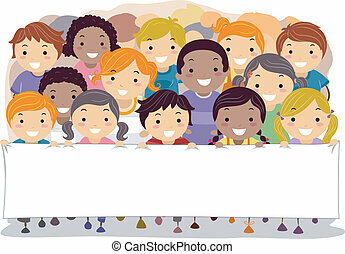 Cartoon of joyful children.